The Red Sox and Padres made a significant trade on Thursday when Boston acquired left-handed starter Drew Pomeranz for right-handed pitching prospect Anderson Espinoza. It isn’t often an All-Star left-handed starter is traded straight up for a prospect, but when said prospect is a consensus Top 20 guy in all of baseball, it makes sense. Pomeranz is extremely risky despite being talented and under team control through the 2018 season. He has already set his career-high in innings pitched for a season, raising the question of how much he’ll have left in his tank come September and October, has dealt with injuries in the past and is moving to a division that has some of baseball’s top offenses. The deal makes sense on both sides. Boston has a deep farm system that allows it to trade a guy who ranked No. 3 in its system for a high-risk, high-reward starting pitcher. San Diego gets a premium starting pitching prospect who is just 18 years old and has massive potential. “The larger implication – beyond just the relative dearth of poachable players for teams looking to supplement their Major League rosters – is that more and more players with extra years of control will be targeted in trade talks, and as this season eventually gives way to the winter, that’s unlikely to taper off. It’s the new normal. Dave Stewart really screwed up the market when he traded Aaron Blair, Ender Inciarte and Dansby Swanson for the recently demoted Shelby Miller in one of the biggest overpays in recent memory. But what the Red Sox did is a lot more palatable and realistic a return for teams during the upcoming trading season. The Dodgers are said to be looking at starting pitchers — Chris Archer, Sonny Gray, Rich Hill, Matt Moore, Jake Odorizzi — but the price for all those guys just went up. Archer was probably unattainable, as I wrote about a couple weeks ago. The A’s probably wouldn’t be interested in trading Gray at his lowest value, but they’re absolutely going to deal Hill. Hill, 36, is enjoying a late-season resurgence with a 2.25 ERA, 2.57 FIP, 28.9 K%, 9.0 BB% and has allowed just two home runs in 76 innings. He’s a free agent after the season, so the price won’t be what it was to get Pomeranz, but he might be the best pitcher who is realistically attainable before the deadline. Problem is, he has missed some time this season and he averages fewer than six innings per start — not exactly what the Dodgers need. How this deal really hurts is it’s likely to make Andrew Miller and even hotter commodity. A lot of teams would love to add one of the game’s best shutdown relievers, but the price is probably a bit higher as a result of the Pomeranz deal. There are fewer starting pitchers projected to be available, so teams might shift their focus to the ‘pen. Andrew Friedman is said to be targeting “elite-level” players. Hill’s track record isn’t that of an elite player, but he has pitched like one in the last calendar year (only 105 innings, though). Miller is an elite-level player and might be the best player the Dodgers could acquire this trade deadline. That is, as long as the market value hasn’t been inflated to the point where it’d take more than two Top 5-10 prospects and possibly a third guy to land Miller. Teams could also look to deal for offense in a pitching-thin market. The most talked about guys are Jay Bruce, Ryan Braun, Jonathan Lucroy and Josh Reddick, with Carlos Gonzalez‘s looming availability pending. 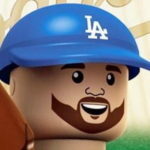 The Dodgers might be interested in some of these guys, but if they get Andre Ethier back, there won’t be much reason to acquire another outfielder. The trade deadline is 17 days away. If the Dodgers are going to make a splash, it probably won’t be of the huge variety. But somehow coming away with Miller would be a big win. I wouldn’t expect them to empty the farm system for the guys who are realistically available. But there is always the opportunity for surprise (see the Troy Tulowitzki from last year). We’ll see what happens.